Rocketry is generally divided into: Model Rocketry, Mid-Power, High Power, Experimental. I'm interested in all areas. Build the Bic(R) ARCAS: the rocket that fits in your pocket! Read about my whole rocket fleet. Launch reports are filed on the STAC activities page under the Past Events section. Here's my first experimental rocket motor. Learn about the new International Experimental Aerospace Society. See Our Stinkin' Rocket flown at LDRS22 and featured on the Discovery Channel's "Rocket Challenge" show. One of my first memories as a 2 or 3 year old child was of watching a group of people lauch model rockets from the parking lot behind the apartment. My father talked with them and was given a 1965 Estes catalog (which I still have). As a teenager, my father and his brother had built metal-pipe rockets very similar to Homer Hickam's story "The Rocket Boys" (the movie was "October Sky"). So he was interested in these new safer kits and requested more info from the company and a few years later bought the Alpha III starter kit. We lost that rocket in Grandpa's corn field but went on to build many more. By the time I got to High School I was too busy for rockets and set them aside for over twenty years. Then in the spring of 2000 I saw a car carrying a very large rocket and stopped to ask the person about it. He told me about the Tripoli organization and how rocketry had advanced quite a bit since the early Estes days. After attending a High-Power launch, I was hooked. Now I am once again obsessed with rockets; a full-blown BAR (Born Again Rocketeer)! My first new rocket as a BAR was an Aerotech Initiator. This is a "mid-power" rocket or "Large Model Rocket" that flies on "E,F, or G" class motors. My largest rocket before this one used "D" motors but I had never launched it. Each motor classification letter has twice the power ("Total Impulse") of the previous motor class. I can't say enough about how impressed I was with the Initiator kit. Great parts, design, and instructions. This was my initiation to through-the-wall fin mounting, and the use of Cyano-Acrylate(CA) glue. The whole rocket went together in two evenings - love that CA. Then I went back to small stuff and scratch built an Estes Mosquito clone. My old rockets were never finished/painted well so I used this little thing as a test of how well I could sand, seal, prime, and paint. I learned a lot from that and can now make nearly flawless finishes. The new Quest MicroMaxx motors and rockets fascinate me. They are so tiny (5mm diameter, about 1/8A classification). I designed a very cool little rocket for them that uses a Bic pen as the body and most of the parts. The Bic(R) ARCAS, tied for 6th place of 20 entires in the rec.models.rockets newsgroup Design Contest #7. Thank you to IgnitorMan products for their nice prize donation. Another project was to make a MicroMaxx motor adapter for my Mosquito. It is an ejectable motor pod with its own streamer to help find it. Flies great. My third MicroMaxx project was an upscale version of the Mosquito, called TriSquito, sized for a cluster of three MicroMaxx motors. It made its first flight in November 2000 with perfect ignition of all motors but the ejection charges failed to deploy the nosecone/streamer. Next I returned to restoring my old rockets, and those my father gave me, which had been carefully stored all these years. Fortunately I had even saved the instructions and remaining parts, even for the ones I've lost! ebay has been a great source for some of the old kits that I had always wanted but couldn't afford or didn't get around to. Unfortunately, collectors have driven the prices of these to astronomical levels (i.e. $100 for an old $3.00 kit). But I managed to find a few I wanted. Here's our new high-power PVC launch pad (details and instructions to follow soon). I just finished my Magnetic Apogee Detector. My latest major project was my High Power Level 1 & 2 certification project: a BSD Thor. It is 4" in diameter and 85" long! What does my wife think of all this? "But these are all so small, why don't you build a really BIG rocket?" ... but an M motor costs $300 ... "But it would go really high then right?" C-130 JATO take off by the Blue Angels support plane, Fat Albert. Lots of flame. Sometimes even the professionals don't get it right. 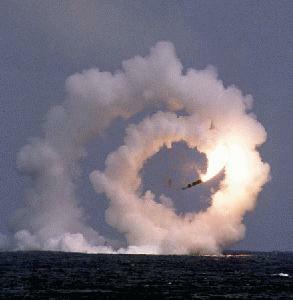 Here is a Trident missile test gone awry. The International Experimental Aerospace Society. Private citizens reaching for the stars! The National Association of Rocketry represents Model Rocketry, Large Model (Mid-Power) Rocketry, and High-Power. The Tripoli Rocketry Association specializes in High Power and also offers High Power certification testing and supports some Experimental activities. Amature Rocketry FAQ. Has links to many Model and High Power rocketry resources as well as full-scale sites.